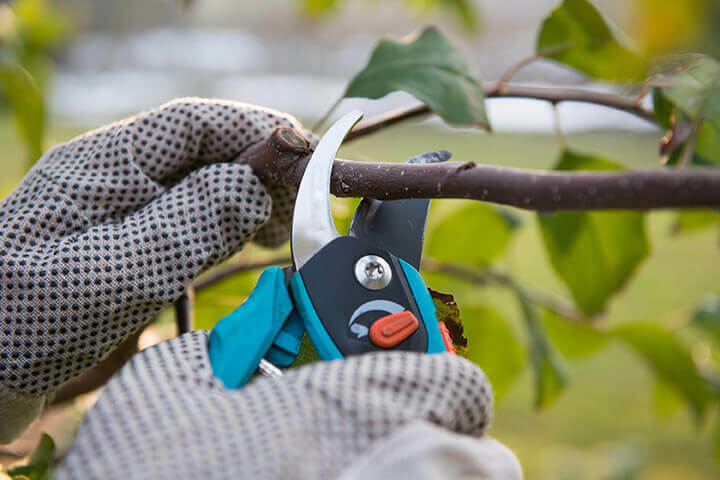 With autumn, you say goodbye to summer but also the many different landscaping tasks that you’ve been performing over the last six months or so. But before you kick back, put your feet up and enjoy the fall, there’s some work to be done to ensure that your yard looks great throughout the winter and is primed for next year as well. 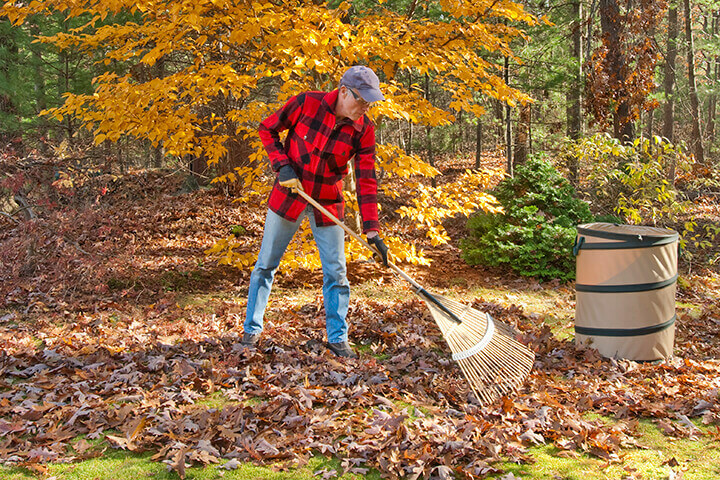 With that in mind, here’s a checklist of 17 crucial fall clean-up items. This is a great time to perform a seasonal inspection. 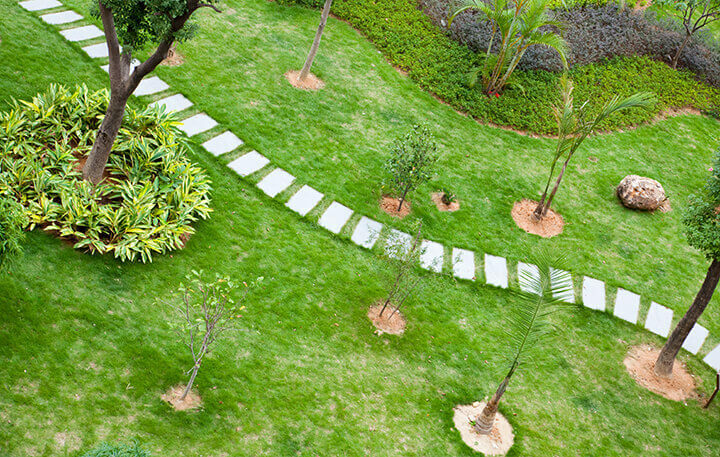 Walk from one corner of your property all the way around until you reach it again. Take your time, and let your eyes scan as high as the roof, as low as the soil bed beneath the grass and along the periphery as well. Make a note of anything that needs tending. Consider this the first pass over your yard in terms of getting rid of any rubbish or waste. Don’t worry about anything small enough to rake. We’ll get to that. This is your chance to haul away trash and determine what to do with those eyesores and other items that have had you procrastinating. 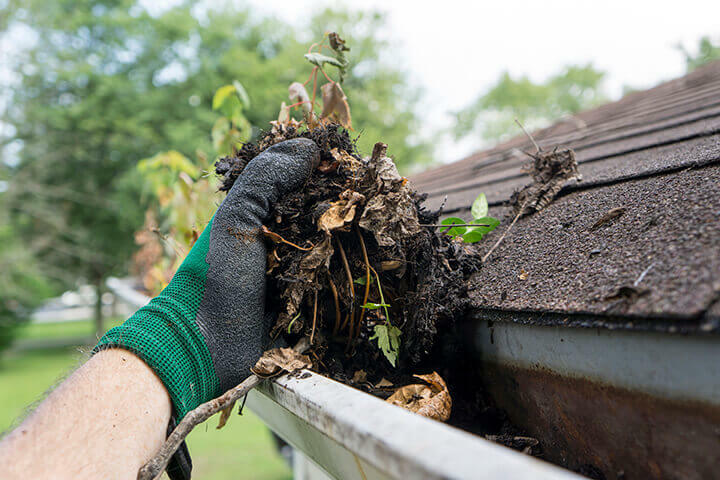 Clear out leaves and other debris from gutters and gutter guards. 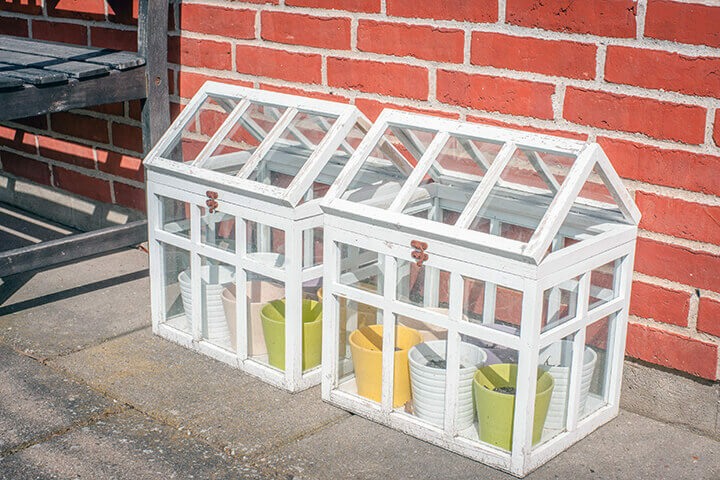 Ensure that downspouts are clear and allow water to pass easily through to drainage. This is also a good time to clean the curb-facing aspect of your gutters with a household grease-cutter and some rags. 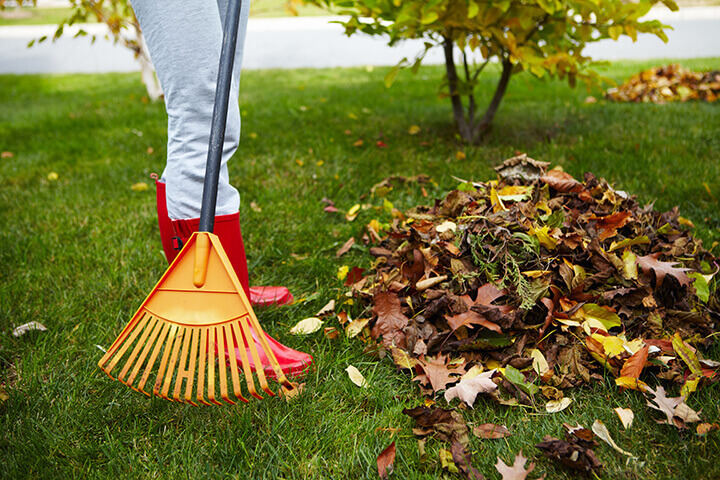 Leaves can be tossed to the ground if you’ll be raking soon unless they’re particularly wet, smelly or otherwise nasty. 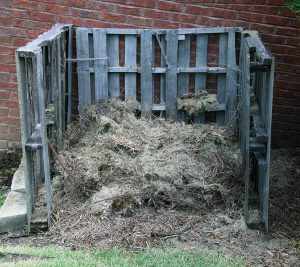 A cheap, but shabby looking compost bin. Leaves can suffocate your lawn, so you’ll want to collect them, but you also don’t have to trash them. You can shred them, and then, use the mulch you’ve created for flower beds, shrubs and so forth. Another option is to create compost for next year. 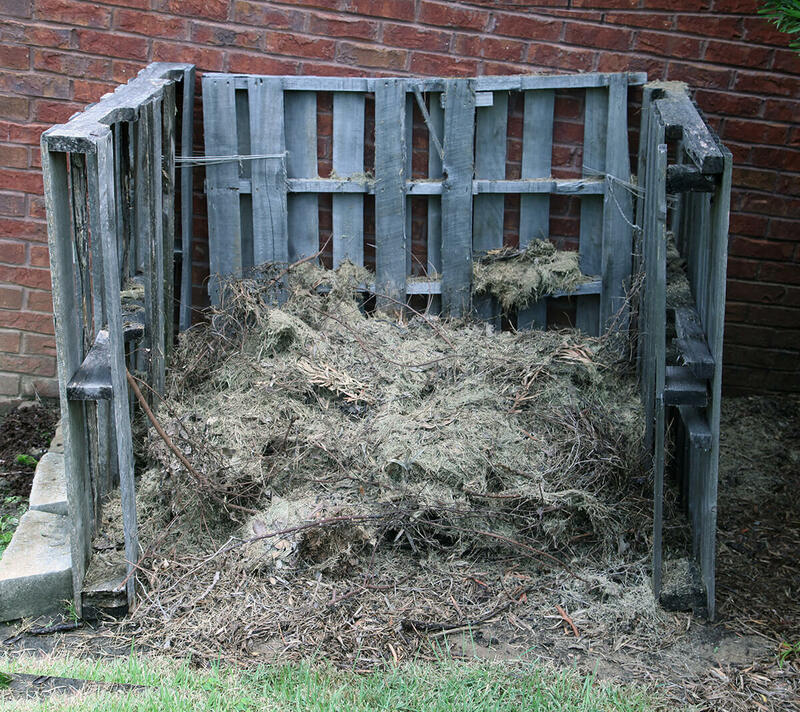 You can even create your own compost bin using some inexpensive wire fencing or old pallets. Flip and poke each week with a pitchfork to achieve that perfect mix. Or, for an easier and faster method of generating compost, get a compost tumbler. If you have branches you want to train, this is the right time of year to do it. It’s also the appropriate season to prune dead limbs and spent stems. 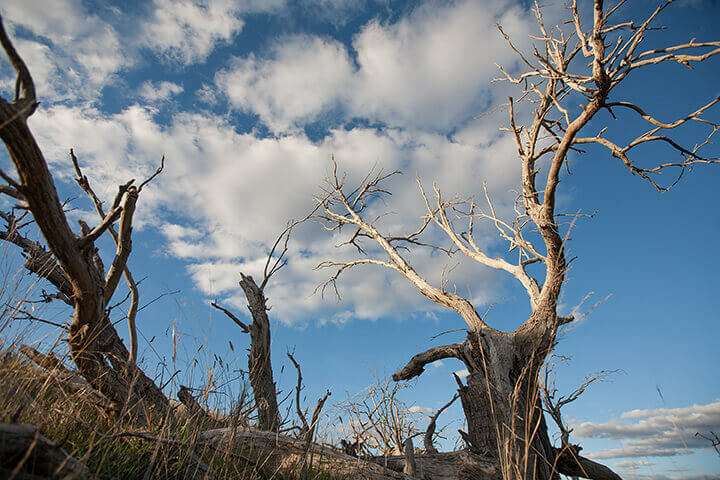 These branches will blow onto your yard eventually anyway, and it helps growth avoid disease and be healthier in general throughout the colder months. Prepare your vegetable gardens for next year. Remove all debris, till the soil and add 2 to 4 inches of new material as needed. 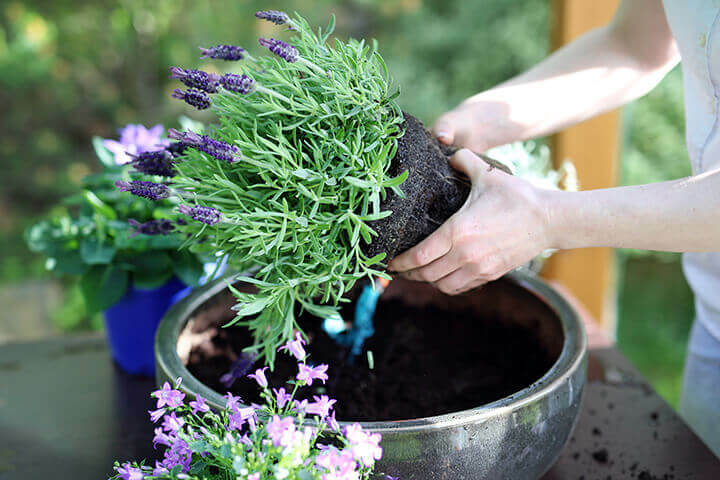 Finish this process by applying a layer of compost that will nurture the soil throughout winter and have it primed for spring. Aeration is a very important step that avoids pooling water and helps to ensure that critical nutrients reach grass roots. 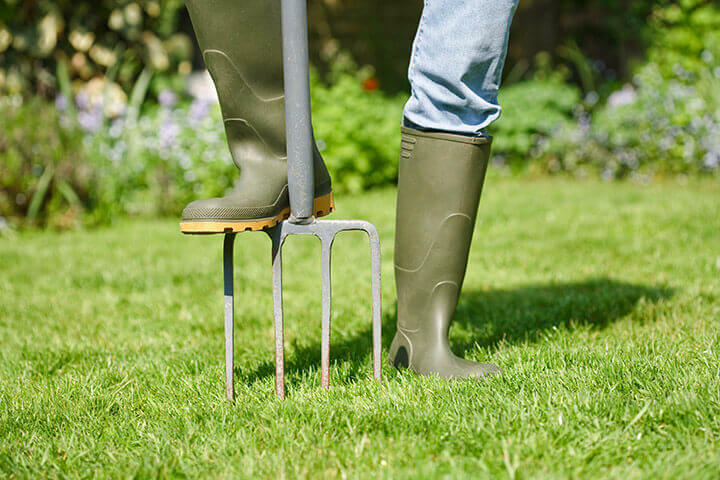 You’ll want to use a walk-behind aerator for larger properties and a garden fork for those smaller, harder-to-reach areas. As a rule of thumb, you want soil plugs that are about 2.5 to 3 inches deep so that they will have broken down by the time spring rolls around. 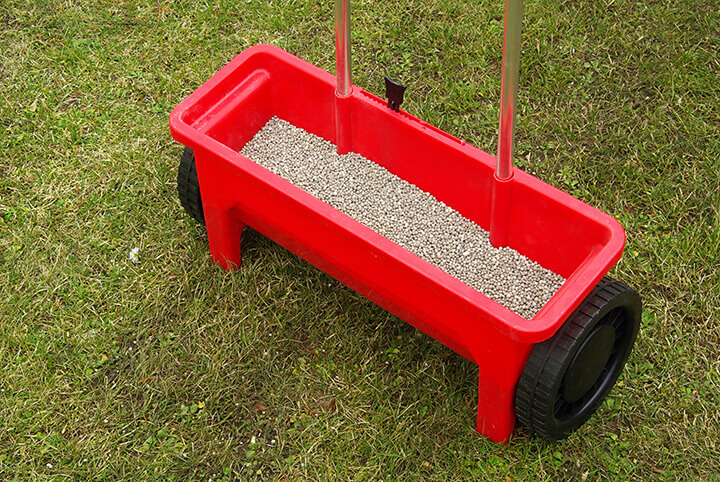 Feeding your lawn in fall in order to ensure that it stays fed throughout winter is crucial to priming it for spring. Be mindful that this applies to the grass itself; you’ll actually want to cut back on fertilization of perennials in late summer. For the lawn, most experts recommend a fertilizer mix high in phosphorous in order to encourage winter root growth and to ensure a lush, green color as soon as possible. There’s no perfect time for a final mow. It can vary from one area and even one year to the next. The final mow should occur when the grass stops growing, or when the temperature drops if you’re unsure. Drop your blades to one of the lower settings. Mow once. Wait a week and mow again. 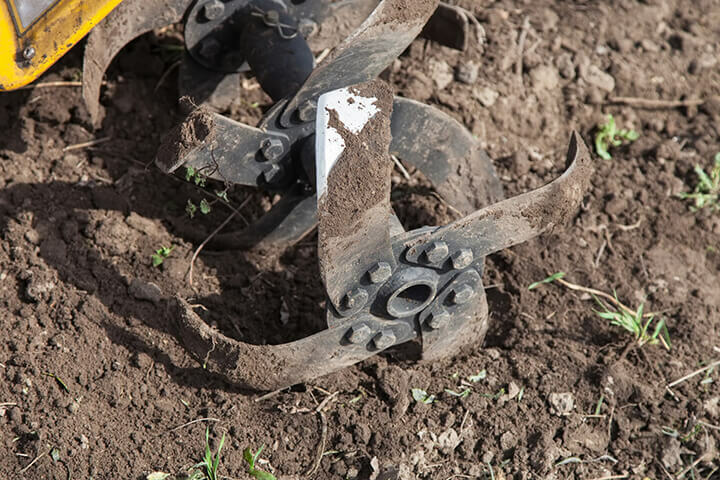 It’s advised to cut the grass short since disease can’t thrive with a shorter grass blade, but avoid going shorter than 1.25 inches because grass creates most of the food it consumes at the top of the blade. 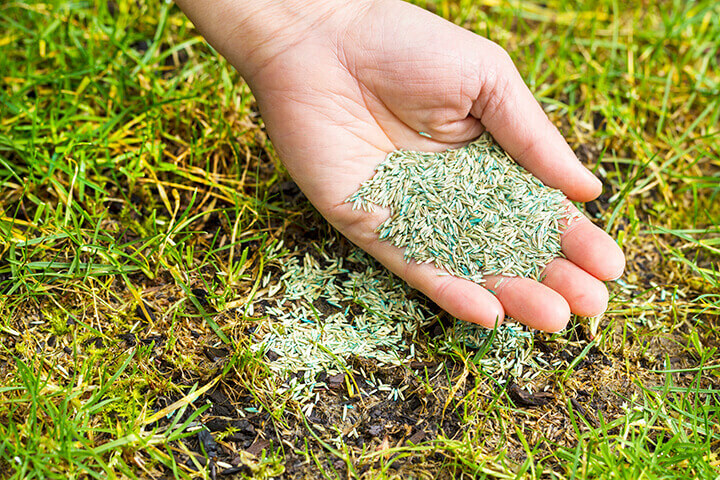 After your final-final mow, if you have any bald spots, you’ll want to rake over them, and while you can do this with grass clippings, it’s even more effective to use a lawn repair kit, which will have a seed mixture to spread out over those areas. Water as instructed, and be ready for a full lawn next year. 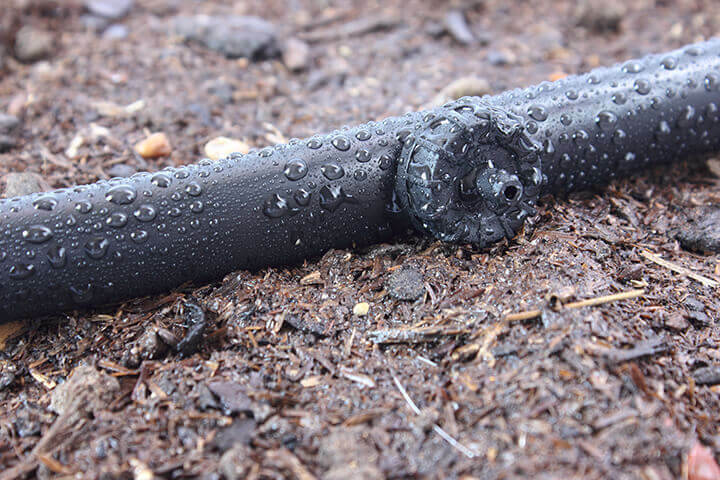 Whether you have an in-ground sprinkler system or drip-irrigation tubing, this is the time to perform maintenance as well as any needed repairs. You’ll also want to dry out these systems to avoid freezing. Be mindful that you want to cut back on fertilization for perennials in later summer in order to avoid unnecessary leaf growth. The beginning of fall is when you’ll want to remove tired perennials as well as any slugs and snails that are feeding on them. You’ll also want to trim any spent foliage all the way to the soil, and crowded plants, particularly tuberous ones, should be divided every three years or so. This is also a good time to transplant; the ideal time is three to four weeks before the ground freezes. 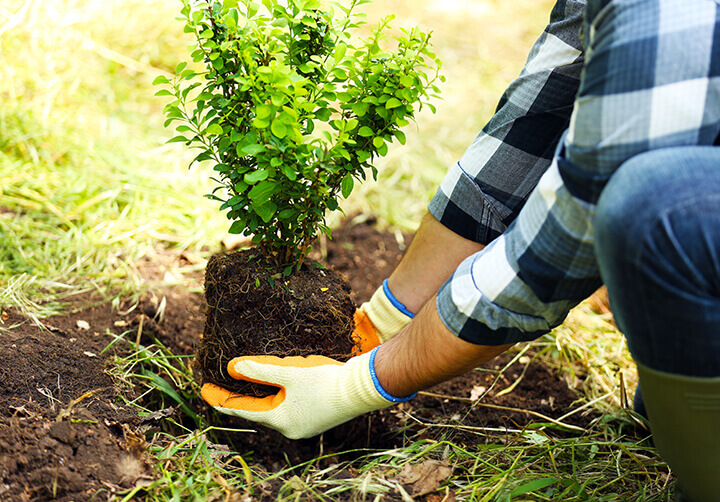 This is also the time of year to plant any new shrubs as well as fall annuals. The reason we choose fall for new shrubs is that the soil is ideally cool and moist for the necessary root growth. Dig a hole that is twice the diameter but about 1.5 inches less deep so that the root is exposed that much above the ground. Any newly planted foliage should have a layer of mulch applied. 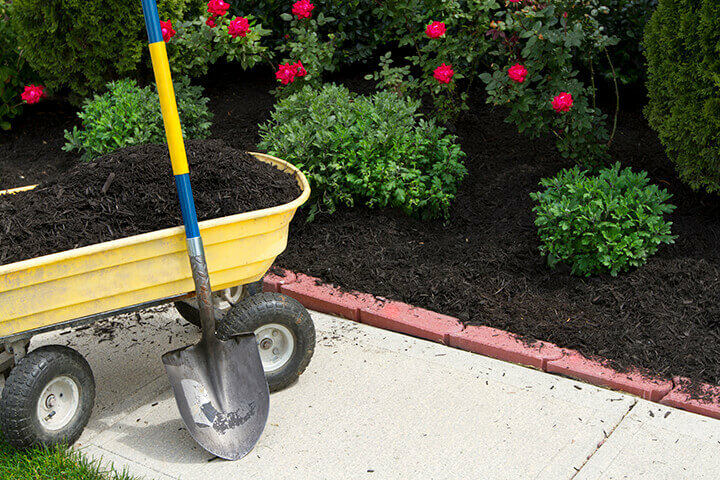 If you have young plants, then as with your gardens, till the soil, add 2 to 4 inches of soil as necessary and then, place a layer of mulch. Any cold-sensitive plants regardless of their age should have their soil lightly tilled, material added as necessary and a layer of mulch applied. It may also be necessary depending on the plant to wrap them in a cold barrier, which prevents freezing and other damage from the elements. The degree to which you wrap the plants in cloth and plastic will depend on the severity of your local climate. Prep your deck by removing any items that are a high wind risk. It’s generally recommended that you pressure wash once a year. Pressure washing can damage a deck if performed incorrectly, so if you’re unsure, hire a professional. 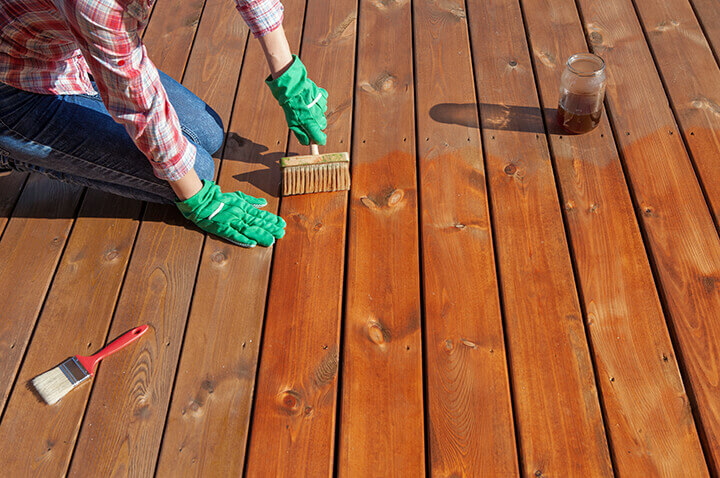 You can also use a treatment to avoid mildew and other growth, and it’s recommended to re-stain a deck once every five years or when it visibly requires it. Last but not least, clean all of your yard tools, dry them and store them in a dry place. 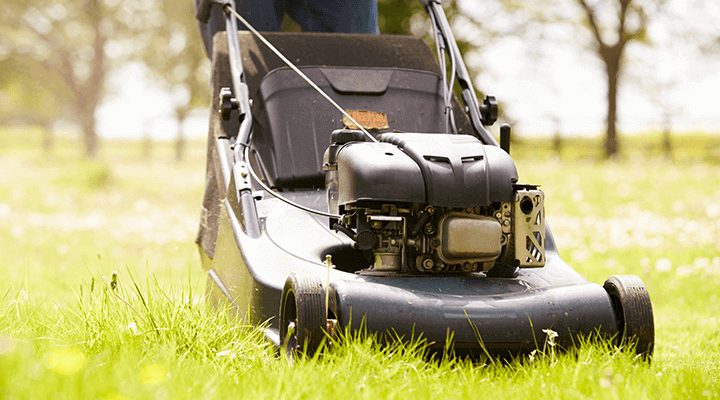 It’s particularly important to winterize gas lawnmowers in order to maximize their lifespans. Feel free to share this infographic on your own website or blog. Get notified when Yard and Garage publishes new articles. No spam! YardandGarage.com is a participant in the Amazon Services LLC Associates Program, an affiliate advertising program designed to provide a means for sites to earn advertising fees by advertising and linking to Amazon.com. Amazon and the Amazon logo are trademarks of Amazon.com, Inc or its affiliates. © 2019 · Yard and Garage · Part of Redland Media LLC.